Our dental practice in Heston is in the London Borough of Hounslow, West London. We are perfectly located to be accessible from Heston and surrounding areas such as Hounslow, Norwood Green, Hanwell and Southall. The dental practice is easily accessible from either Osterley tube station or Hounslow West tube station (approx 1.1-1.3 miles away from each) and a variety of bus routes. 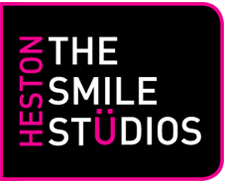 The practice was recently aquired by The Smile Studios and has gone through extensive upgrade and renovation with specialist team members added. The practice was formerly known as the Dental and Implant Centre. The practice has existed since 1989. We are now proud to be offering a variety of cosmetic and orthodontic procedures at the practice which encompass Invisible Braces, Six Month Smiles, Smile Makeovers and Teeth Whitening. The practice offers general, routine and preventative dentistry for the entire family. Orthodontic solutions including Invisalign and Six Month Smiles as well as Dental Implants to replace dentures or missing teeth.